From millennial pink to coral to hotter than hot pink, this very on trend color is helping tots make a statement wherever they go. Sometimes subtle and very often loud, it’s a color that works for both boys and girls and adds that bit of extra we all want and need. 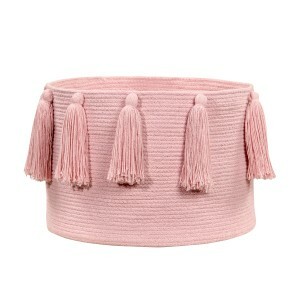 This season pink is showing up in a lot of places. 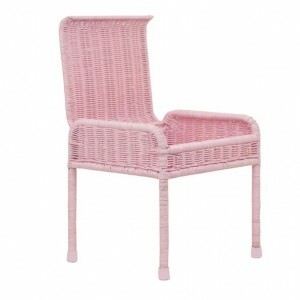 From footwear to clothing to furniture and décor, pink is making an absolute splash and we love it. To help you find the right pink pieces for your little fam bam, we’ve created an All Things Pink list we know you’re going to love. 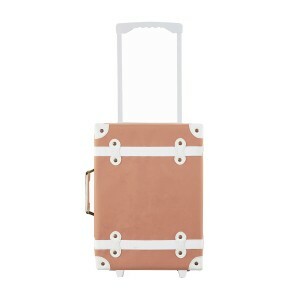 The Olli Ella See Ya Suitcase does double time as kid-sized luggage and practical decor! 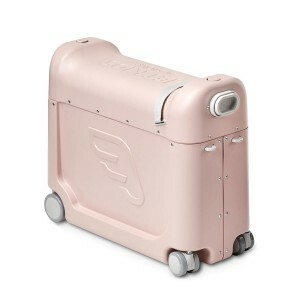 Whether you’re on the move or simply looking for a special place for treasures and toys, this vintage inspired trunk on wheels is the perfect piece! Made in Portugal and the perfect pop of color, these mocassins are easy to slip on and are made to last. 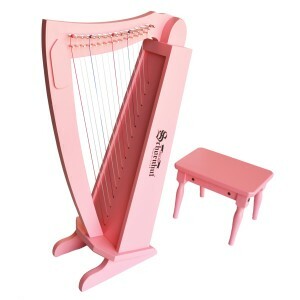 A must have musical instrument, this light pink harp will add elegant style to your tot’s room and help hone their hand-eye coordination. 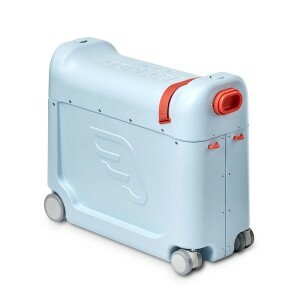 The BedBox is a carry-on and ride-on suitcase for children with a genius in-flight bed or leg-rest feature. 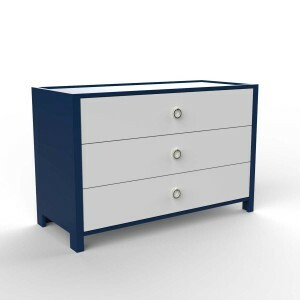 Fun and functional with ample storage, the BedBox holds your child’s must-haves. Let your little one ride it (or pull it) through the airport terminal for stress-free transport! Every little ballerina needs this tutu dress. Made in India, it’s truly a work of art and will have everyone looking pretty in pink. Lap Shoulder Bodysuits make parenting a breeze. Add Organic Peruvian Pima Cotton and they’re literally a dream come true. Transitioning from a baby bottle? 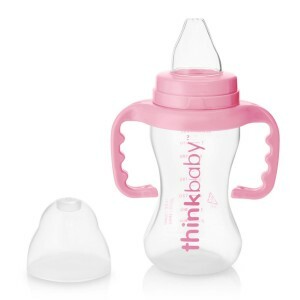 Try Thinkbaby’s award-winning, easy-to-grip no-spill Sippy Cup. 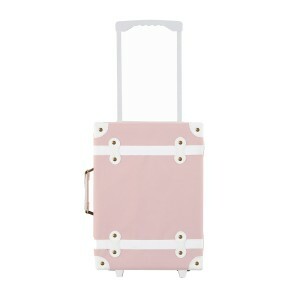 Pink and white stripes – possibly the perfect combination! 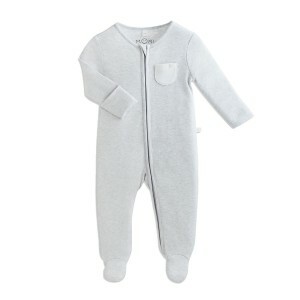 Crafted from MORI’s signature bamboo and organic cotton blend, this adorable sleepsuit is soft and safe on baby’s sensitive skin, and offers breathability and warmth through all seasons. If you’re looking for hot as the sun pink, you’ll find it on the ducduc cabana 3 drawer dresser. 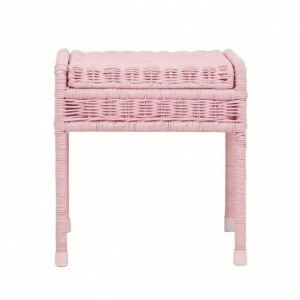 Add a touch of sweetness (and storage) to your tot’s room with this wicker storage stool. 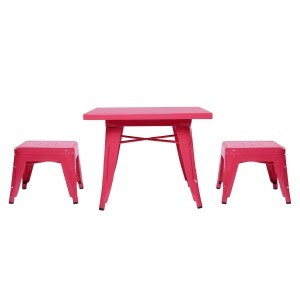 Perfect for arts + crafts or mealtime, this table and chair set will look fabulous in any room. 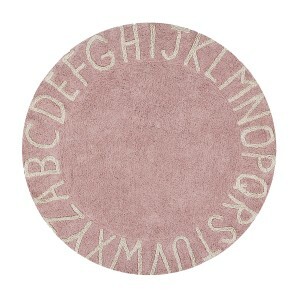 Eco-friendly and machine washable, this rug has a super cute gender neutral pink design that works well with any room theme. 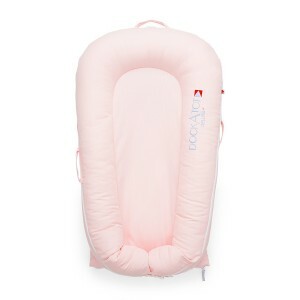 Pink up your Dockatot Deluxe+ Dock with this simple and sweet light pink (and machine washable) cover. 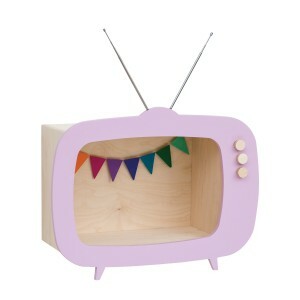 Great for storing and imaginative play, this retro and adorable TV shaped shelf is the quirky touch every room needs. This is a piece that will be used for a lifetime. Eco-friendly, non-toxic and durable, store toys, shoes, books, laundry and more. 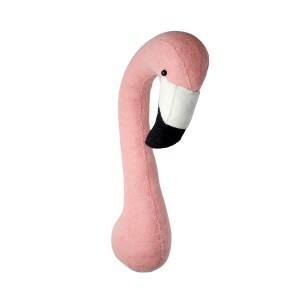 Add charm and whimsy to a playroom, nursery or bedroom with Fiona Walker England’s flamingo head wall decor. 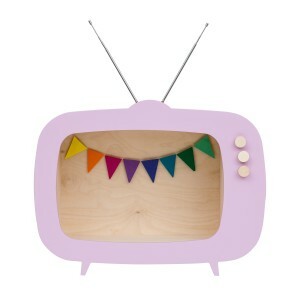 Featuring eco-friendly wool felt, this plush, handmade animal accessory will add a dash of fun to any Tot’s room.